On this page I will collect all "papers", like pointers to books, whitepapers, pdfs etc. 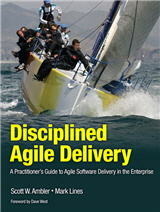 Introduction or overview papers on Scaled Agile, Agile or Scrum. Not all are publically available. Testing is one of the key processes in the software development life cycle. The market has been steadily maturing to deliver improved user success, but technology changes like agile practices, mobile computing and cloud platforms can complicate vendor evaluation for testers and test managers. TechWell, IBM, uTest, and keynote partnered on a survey to explore where today’s testers are spending their time, what obstacles they most often encounter, and where they think their attention should be focused. The survey review panel: Michael Bolton, Dorothy Graham, Janet Gregory, Linda Hayes, and Karen Johnson. Where Do Testers Spend Their Time?. Applications are evolving at an ever-faster pace. These applications are not discrete islands; they build on a complex, interconnected set of components that includes disparate technologies, developers, deployment topologies and organizations. Developers must deliver high-quality applications while limiting their testing expenses. In this challenging environment, a combination of automated integration testing and test virtualization can enable test teams to improve software quality and keep up with the rate of change. This whitepaper addresses these needs by describing the benefits that can be gained through a proactive and continuous approach to integration testing with IBM® Rational® test automation solutions. Some cost is involved in getting these books, but lot of value! Bit out-dated but very valuable. Free download of PDF.